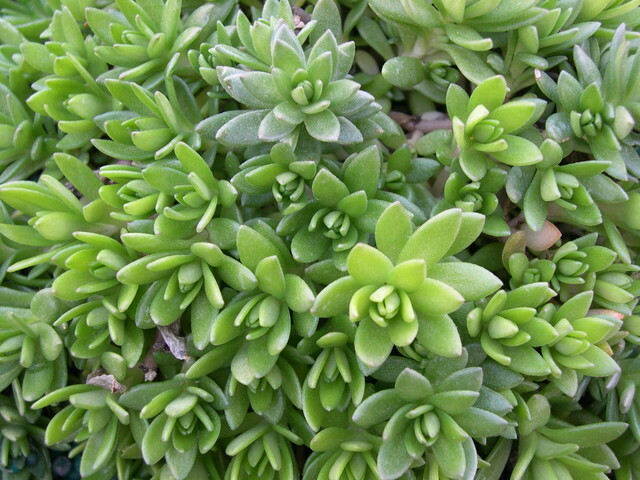 Light green fleshy, pointed leaves on long creeping stems. Its trailing habit makes this a nice hanging basket plant or ground cover in mild areas. Flowers are yellow. From Japan, Korea, and northern China. Evergreen.